Thank you for subscribing to my Blog! I’m so glad to have you! Go ahead and check your email. Your download is on the way! While you’re here, I want to let you know something I’m super excited about. My focus is on meeting the needs of women who are navigating through midlife and/or empty nest. I know first-hand what a difficult time this can be, believe me! Because saying goodbye to your last child is also saying goodbye to your role as mom. Are you feeling a sense of loss? Are you grieving the loss of your identity as a mother? Do you feel lost? Are you wondering what to do in this next chapter of your life? Do you lack direction and need a fresh new outlook on your life as an empty nester? Are their gifts and talents that are hiding inside you that you’ve considered revisiting? Are you struggling to know how to take the next step? Does this describe you friend? If so, I’d like to tell you about a new service I’m providing. MY NEW COACHING CALL PACKAGE. My goal is simple…I want to see empty-nest women become more of who God made them to be. YOU are more than a mom! rediscover hidden talents and uncover new ones! approach your next chapter as an adventure to become more of who God made YOU to be! If this is something that resonates with you, I’d love to get to know your story and help you take the next steps toward the life God has for you in your next chapter. Look at this call as an opportunity to be coached by someone who has walked through many mid-life challenges. 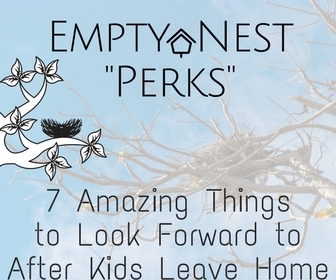 Empty nest is just one of those challenges, but I believe it’s much bigger than we often realize or take time to reflect upon. So…for just $39 (or 3 for $99) I invite you to book your Coaching Call today. To schedule your coaching call…click the button below. I want to remind you that you are more than a mom and help you take some next steps in the next chapter of your life. I’d be honored to come along side you to help you take the next step in your life after kids so that YOU become more of the amazing woman you are meant to be. Go ahead and click the link below and I’ll be in touch soon to schedule your Coaching Call. Thank you! Because you my friend, are much, much, more, than a mom! More to live. More to Give.